Park Circus is a film distribution company based in Glasgow Scotland. The company specializes in the distribution of classic and back catalogue films. 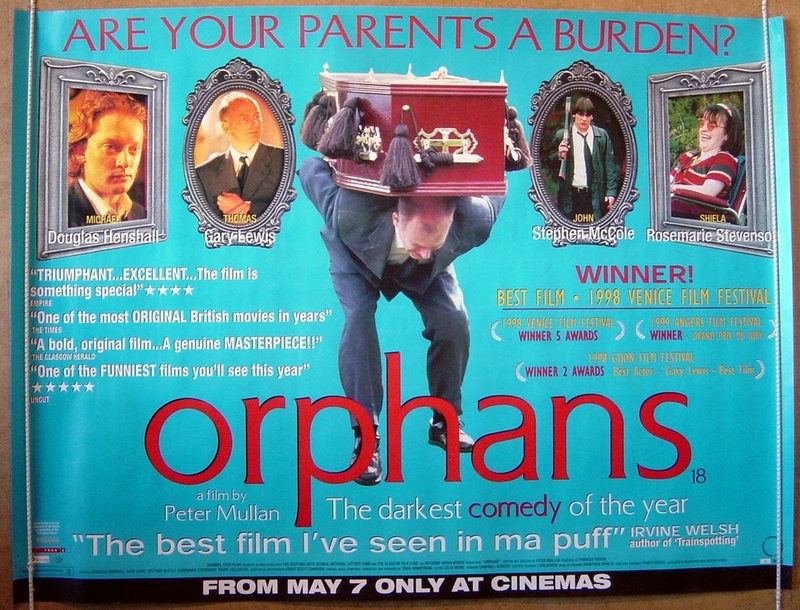 At the end of October they released a new digital transfer of Peter Mullan’s directorial debut, his first full length feature film Orphans (1998) a movie that had not been available for some time. 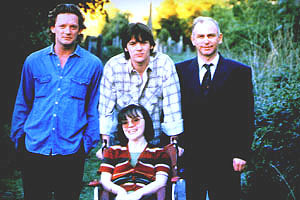 The winner of four awards at the Venice Film Festival in 1998 Orphans tell the story of personal loss and grief involving four siblings, three brothers, Thomas Flynn the eldest, Michael and John, and their wheelchair bound sister Sheila who has cerebral palsy who gather together on the eve of their mothers funeral. 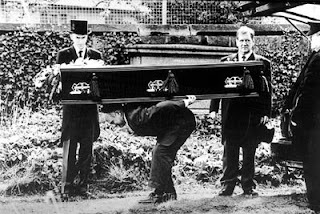 All four go on to face individual torments before the actual burial takes place the following day. 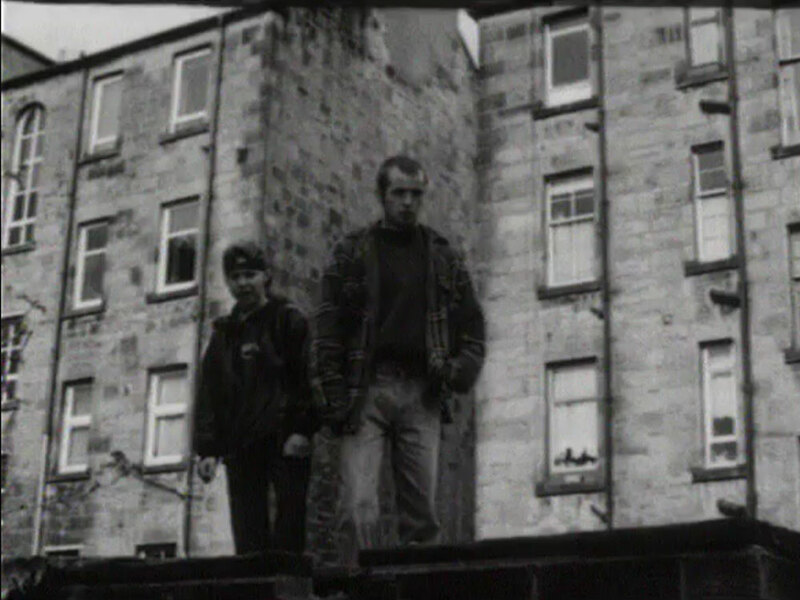 This unflinching and at times touching and slightly surreal film stars some familiar Scottish actors including Douglas Henshall as Michael, Gary Lewis as Thomas, Stephen McCole plays John with Rosemarie Stevenson as their sister. Michael and John finally make it to the funeral! Who can forget the night at the Robert Burns Cinema in Dumfries when Peter joined us for a question and answer session for his third feature film as director Neds (2011). 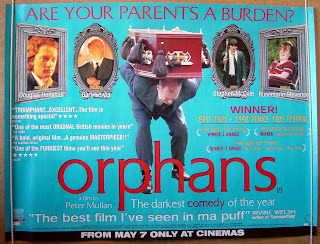 I said in that ramble that his best-known film was probably The Magdalene Sisters (2002) but Orphans, a dark comedy drama, is a good early indicator of the Scotsman’s directorial skills. 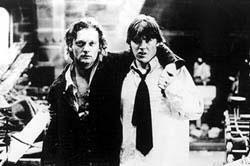 Included on the DVD re-issue are three early short films by Mullan, Close (1993), Good Day for The Bad Guys (1995) and Fridge (1995). Made for £500 Close tells the tale of Vincent (Mullan) who lives in a Glasgow tenement block, his wife has just given birth and she will be bringing the baby back to their home shortly. After a derogatory remark about his new born daughter by a drunken neighbour Vincent decides its about time he set about “cleaning” up the his close! An unpretentious enjoyable black comedy. The second short Good Day for Bad Guys is about a group of four unbalanced entertainers involved in a traditional, but down at heel, Scottish pantomime and how they interact with one another. Starring, along with its director, are Gary Lewis and the Scottish actress Laura Fraser. This short borders the horror genre. The bleakness of the Glasgow tenement. By far the best of the three shorts is Fridge. Rudy (Gary Lewis) and Alice (Vicki Masson) who have problems with alcohol, live rough in the grounds of a run down Glaswegian tenement block. Following a nasty incident involving another rough sleeper a young boy is locked in an abandoned chest freezer, the fridge of the title. Struggling with their own demons Rudy and Alice set out to free the boy before his air runs out. A very bleak film about this county’s forgotten under class that could easily be set in 2011 Britain. This is one of the best short films I have ever had the privilege of viewing, one that I will not forget. The DVD is essential viewing for anyone interested in the Scottish actor and director’s early works.